The discourse around race and class has shifted dramatically in recent months. It’s gotten louder and more passionate, but unfortunately, in too many cases, more divisive. That’s why our work — as advocates for students in communities of color and those experiencing poverty — must be stronger, bolder, and relentless. #AdvocacyMeans we will not waver in our commitment to schools and students who are underserved. #AdvocacyMeans we will double down on our push for continued progress toward an education system that gives all students the opportunities they need to flourish. #AdvocacyMeans we cannot let fear distract from our mission — and WE WON’T. #WeAreAdvocates for the millions of students across the United States, who — because of systematic and institutional inequities — are denied the high-quality education they both desperately need and deserve. We fight for them. 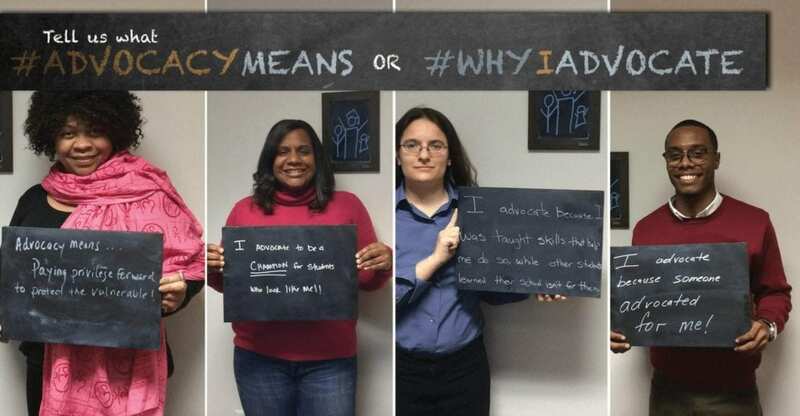 Why are you an advocate? Join us by sharing your commitment on social media, using one of the hashtags: #AdvocacyMeans, #IAdvocate, or #AdvocateWhereIStand.